In the last 6 months or so I've been looking to upgrade my home setup to one that fits my needs better. I don't game as competitively as I used to, and I spend a lot more time watching shows and so on. My original plan was to just get a 4k HDR10 monitor since I have a 27" 144Hz already for gaming. But then I went in store, and the ultrawide curved format really caught my eye, and I've been looking at them ever since. - 34 or 35" since that lines up heightwise with the 27" 16 . - Curved. I've seen some flat displays at that width, and it's just too far off-axis at that width with the ~30-40 inches of spacing I had. Eventually the LG 34GK950F/G came out, and in combination with the G-Sync/adaptive sync announcement I pulled the trigger on the F since it had higher refresh rate, cost less, had sRGB compatibility if I needed it. Monitor was unavailable(and is still unavailable in Canada), so I ordered it from Amazon US, and brought it across on Monday. Firing it up for the first time, the bottom left corner caught my eye immediately as being washed out, even on the bios splash screen. I hoped that it was just a result of the factory brightness setting, which at 100/100 brightness is absurd for daily use as it feels retina scorching in a somewhat dim room, so I turned it down and broke out the colorimeter to get it to match my other monitor at around 180 nits, which turned out to be ~33/100. After the brightness decrease, it's a lot more usable, and on brighter content, it looks amazing. Background was just an ultrawide compatible one I found. And yes that is an old signed picture of Nada that I have up. 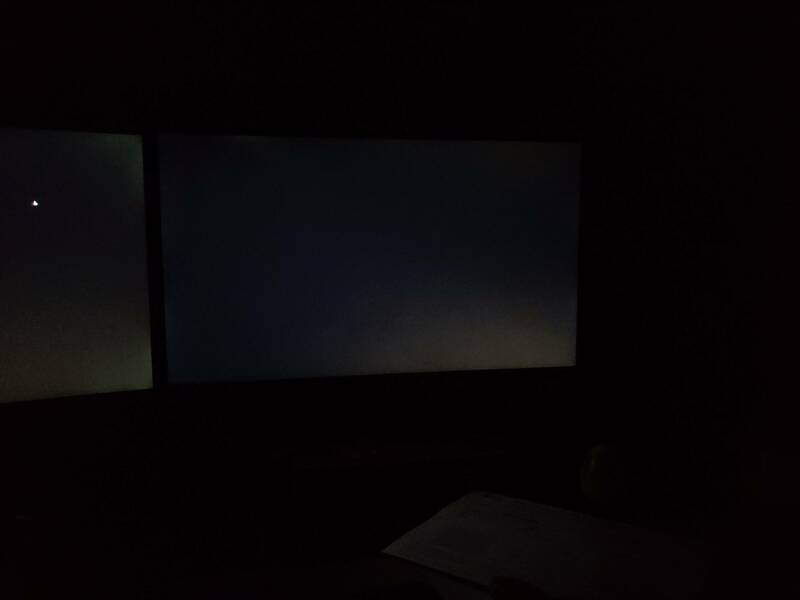 Unfortunately, at 33/100 brightness, this is what the backlight bleed looks like on a black screen. It's far more exposed than it is in real life(colors are dark gray/black), but this gives a good idea of what is visible and what isn't . For reference, bottom right corner is unnoticeable without REALLY looking at it, and top right/top left are visible, but in practical use can be ignored. Top corners are what I'd consider to be the absolute limit of tolerable. 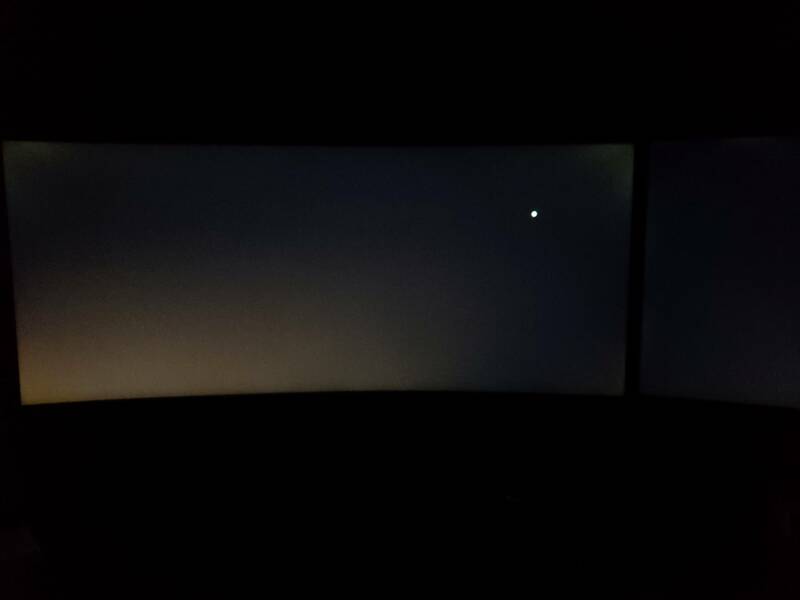 Bottom left is both brighter and covers ~1/6th of the screen. This scales up with brightness, so at 100% brightness, black looks grey, and basically everything is washed out in that quadrant. Same exposure settings on my Pixio 277, which costs a whole lot less, and isn't exactly known to have good bleed to begin with. Corners of the ultrawide look a lot worse here due to IPS glowing a bit more , but the bottom right is really negligible when looking straight at it. I'll be exchanging(fun times for cross border shopping....) it because I really like 5/6ths of the monitor, but I'm pretty disappointed with LG overall for letting something like this go through QC. Next part will be the replacement, and hopefully it's better than this. That's a big monitor. 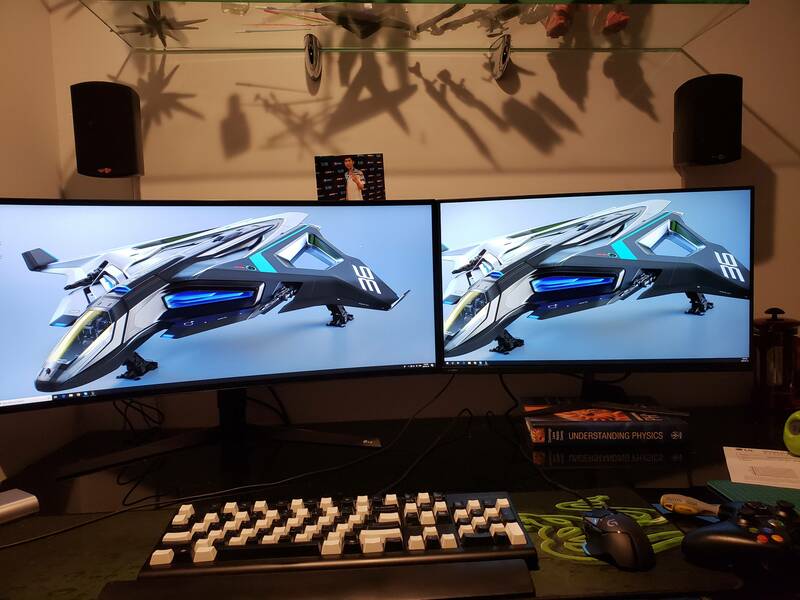 I've had two IPS monitors, the picture is great, but they made huge strain on my eyes. I guess they emit lots of bright light, more than normal monitors. how does this plays sc2?